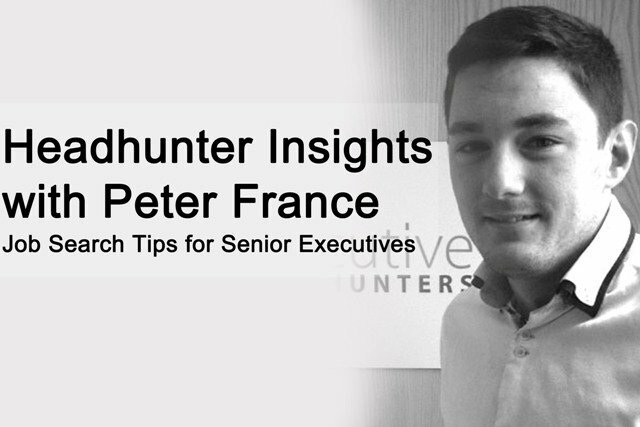 Peter France, an Executive Headhunter specialising in the retail sector, shares his perspective on headhunting. He talks about the importance of using social media in your executive job search, with insights on how to best use social media to connect with headhunters. Peter also offers his observations of the retail industry and explains where he can make a difference to your career path as an experienced headhunter. I’ve recently joined the team at Executive Headhunters as a Divisional Manager catering for the Retail Sector, having just spent some time away from the industry. Prior to my time away travelling, I worked in the industry for a number of years where I initially joined a small team which catered for clients in the IT space but eventually moved on to develop a brand inside the business which catered for both clients and candidates in the retail space. As an Executive Headhunter, I’m a great believer in putting good people in front of key decision makers and often utilise my network to try and create opportunities that sometimes don’t even exist. I also strongly believe that I’m here to provide a service, not only to my clients but also to candidates, because although they may not be the right fit for a particular role now, if you treat them with honesty and respect the likelihood is at some stage they will become a decision maker to whom I pitch my services. I’ve experienced many sides to the recruitment industry including the disappointment of when a candidate lets you down after accepting offer, the satisfaction of finding the person you have been endlessly searching for, the excitement of meeting clients and candidates. However, the feeling I get of finalising a hard-worked deal and knowing that I’ve made a difference to someone’s life is second- to-none (well, maybe except when Everton get three points on a Saturday)! How can a candidate use social media to connect with Executive Headhunters? Most headhunters will use Linkedin and maybe Twitter (top two) but that doesn’t mean you shouldn’t make the most of other platforms to spread the net and show that you can maintain a large portfolio. Commenting on posts and blogs put online by headhunters or employers relevant to what you’re looking for is a great way to get noticed and jump ahead of candidates with a more passive approach. Even better, create your own insightful content and get some publicity for YOUR personal brand. You’ll find the effort you put in here will be reciprocated. Champion yourself at all times, especially on LinkedIn. Headhunters like myself come across hundreds of profiles which are all really one of the same and tend to replicate a person’s CV word for word. Be creative and let us know about relevant things you’ve been up to that didn’t make your CV. If, let’s say, you’re one of many who likes a drink or two on a weekend, try to keep some your less endearing pictures and posts away from the gaze of headhunters. The best and most common way of doing this is running two social media accounts with one for personal use and one professional. Change your name on your personal account so that when employers or recruiters search for your name, they stumble across your professional account. From my experience I can say that retail is a close-knit industry especially within the group of the Blue Chip retailers. I’ve found that there are often really good people who get caught up in the ‘little fish in a big pond’ environment within these bigger organisations and, for me, headhunting is about fishing out these individuals and providing them with opportunities where they can express themselves and make a difference. Recently, I’ve noticed that design skills have become popular within the industry. This comes as companies in a very dynamic, competitive and saturated market battle to differentiate themselves and sometimes exploit new niches. Brand recognition is very important in retail so this doesn’t come as too much of a surprise to me. If you’re in the retail game and in the hunt for a new challenge or career progression, don’t hesitate to visit www.retailheadhunters.co.uk for access to my current live roles in the sector, or you can get in touch with me directly via the contact details below. I’m also able to assist with international roles and have ample experience in Saudia Arabia and the Middle East region.